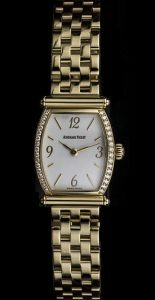 Elegant, and one of the most prestigious Luxury Watch Brands! Pre-owned, this watch has NEVER BEEN WORN, it is UNWORN IN ABSOLUTE NEW CONDITION, with original Audemars Piguet Box & Warranty Papers! 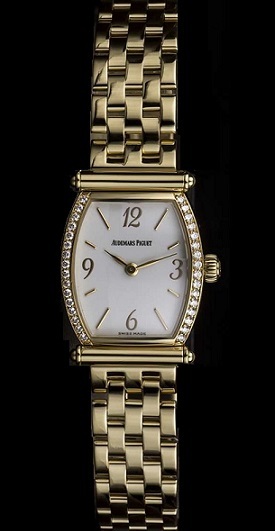 18KT, yellow gold, original diamond bezel, with traditional Audemars Piguet quartz movement. Retail New $18,900.